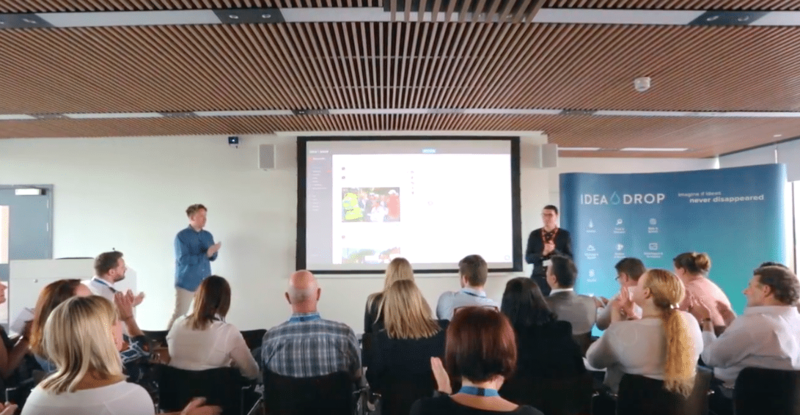 Partnering with Idea Drop to prove the value, engagement and success of the platform is a powerful way to derisk the wider implementation of Idea Drop across your organisation. Available on an exclusive invite-only basis to selected global organisations, our proof of concept innovation management package is designed to accelerate engagement and success. A fusion of best-in-class technology, thought leadership and hands-on consultation, we’ll take you through a highly focused and proven programme of activity to prove the value and commercial results of implementing innovation management technology in your organisation. Idea Drop have executed a broad range of POCs across industry verticals globally and maintain a 100% post-POC roll-out by proving tangible ROI and ensuring the completion of the pre-set critical success factors. 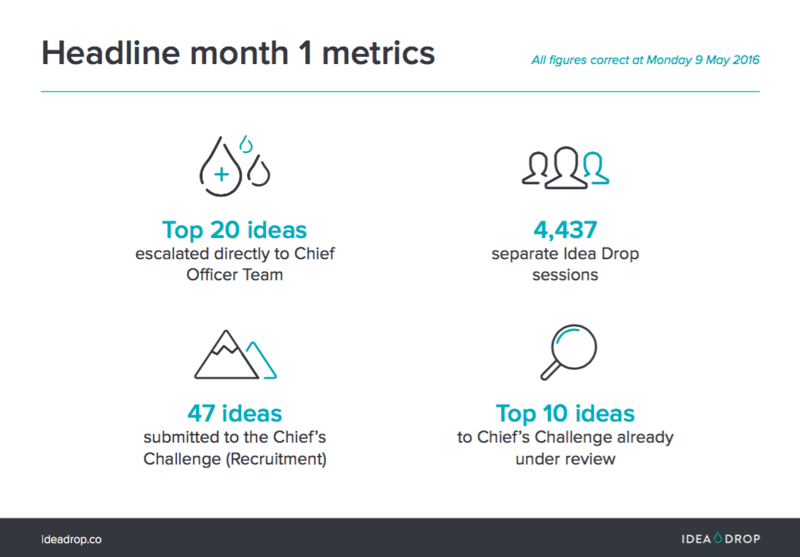 Idea Drop use your POC to build excitement, prove ROI and create bespoke best practice guides to ensure you drive organisational engagement and culture shift. We take all the learnings from the initial POC term and use these to refine and tailor your organisational roll out plan ensuring the best possible implementation. Idea Drop will work in partnership with you to agree the key milestones, measurables and outcomes of the overarching POC. Broadly, these will be based on the key titles included in this mini-site, although not all clients require every stage to be executed. We’ll work with you to plan and execute the POC to deliver maximum value. We’ll work with you to extract and understand the key commercial drivers of the POC, ahead of the execution. We work on a consultative approach in which we seek to understand your key strategic and operational goals, so that we can align the technology solution to helping you achieve these goals. 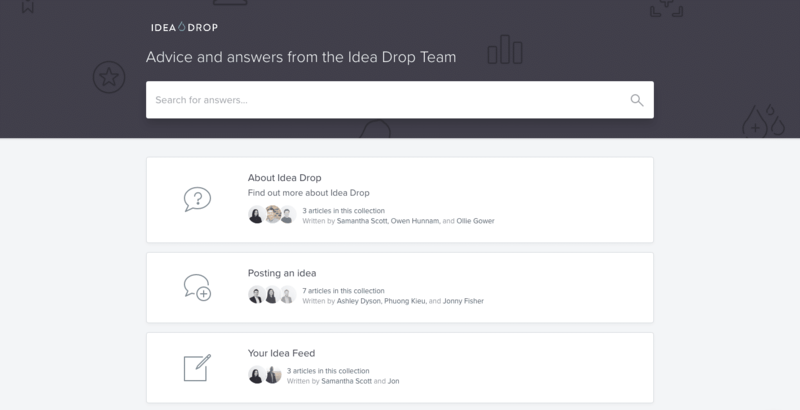 Idea Drop will work with you to agree the structure of the CSFs of the initiative, against which success will be measured. These typically include factors such as user engagement metrics, collaboration stats, ideation metrics and user survey results. Number of active users over the period of POC. Such as volume of comments, favourites, ratings, idea views, mobile app opens and so on. We track 100s of data points to help you measure every level of engagement. Such as volume of ideas submitted, number of ideas passed to a particular phase or status. Reviewing the scores of key survey questions sent via a Typeform digital survey at the end of the POC – a mixture of qualitative and quantitate set of data. We’ll help you identify the volume and structure of the user group, to align with your critical success factors and key strategic goals. These users may include a cross-section from different teams, locations or divisions or there could be a focus on a specific team, for instance. 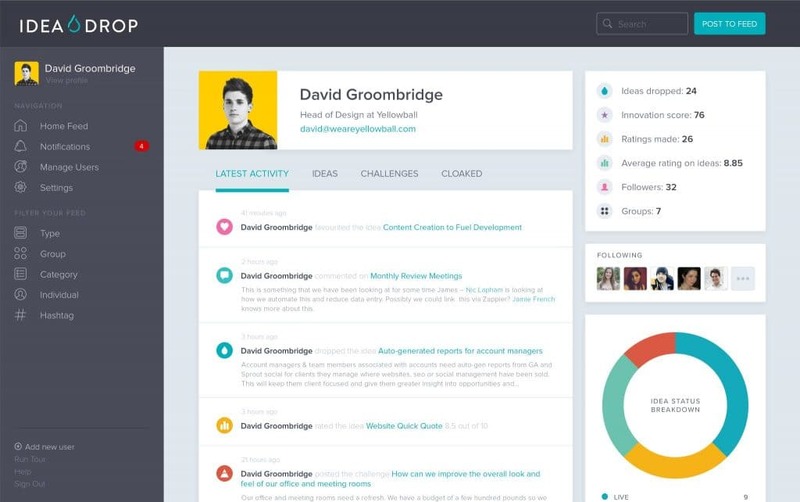 Configuration by Idea Drop team of groups, bespoke statuses, categories and advice on launch challenges prior to user roll-out. 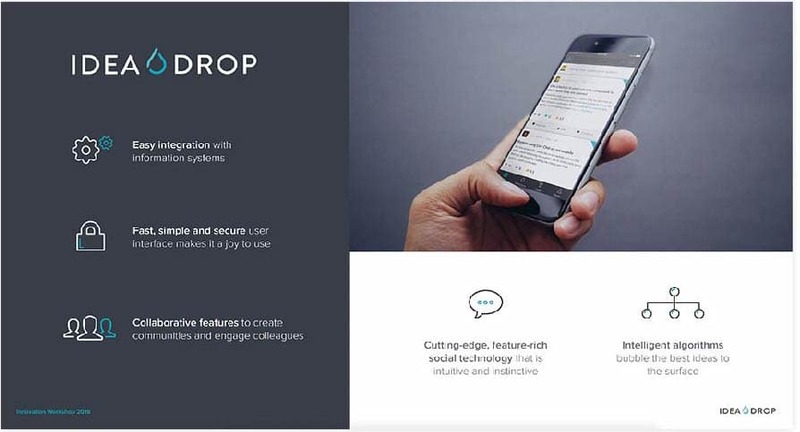 Idea Drop’s customer success facilitator to have access to your Idea Drop community to welcome users, post encouraging comments on ideas, provide technical help where needed and encourage users to use the software to its full potential, such as favourite, rate and comment on ideas and also push for collaboration by ensuring the users know about our @mention tags, and other key features. 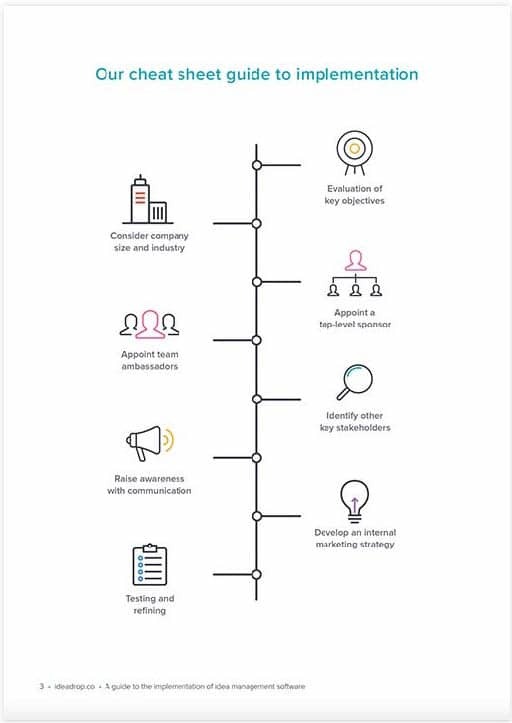 Advice and hands-on implementation of the execution of a compelling multi-channel internal comms plan, including elements such as launch email copywriting, print-based material, advice on supporting video content, help guides, intranet articles and face-to-face presentations with supporting decks. Idea Drop will have 1-2-1 sessions with senior stakeholders and project owners to understand what your goals are, helping to extract key challenges which will be populated within the platform at different points within the POC. This would be in addition to the ongoing challenges, questions and problems shared by your community. 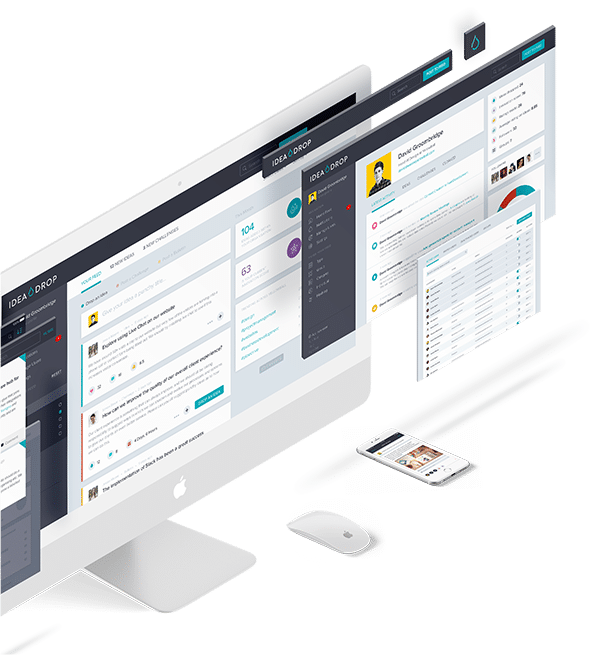 Our team will host and lead a kick off webinar to showcase the tools, features and overarching benefits of the Idea Drop platform to your colleagues, to ensure they see the power and purpose of the tool and wider initiative from the very outset. It is a screen share-led demo, co-presented with you, combined with ongoing Q&A. The session would have a strong focus on the bespoke desired outcomes, including endorsing and promoting the agreed challenges and deliverables of the project. We’ll share the slide deck and recording with you following the session to share internally. 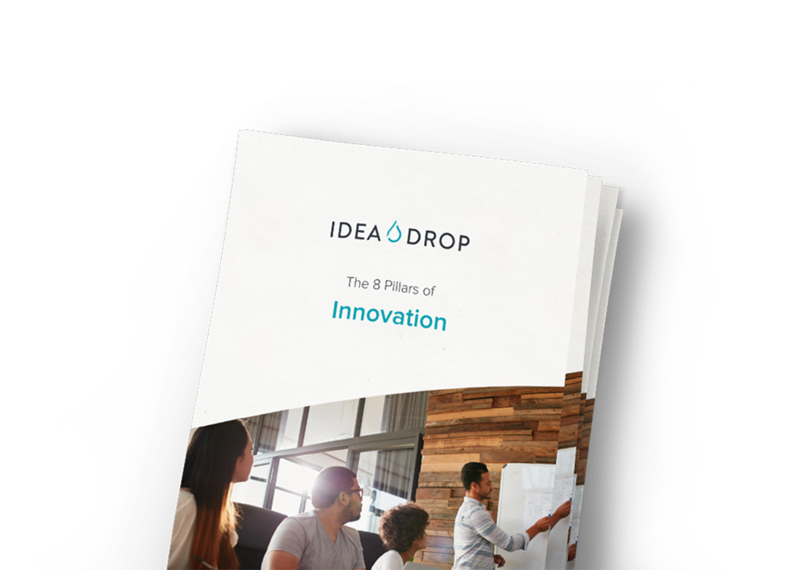 Idea Drop will run an innovation workshop on the ‘8 Key Pillars of Innovation’ which focuses on innovation best practice and shifting organisational culture. Further workshops are available on request in conjunction with one of our consultancy partners, such as 100%Open. Typically 1 x 90 minute workshop included – delivered onsite or remotely. 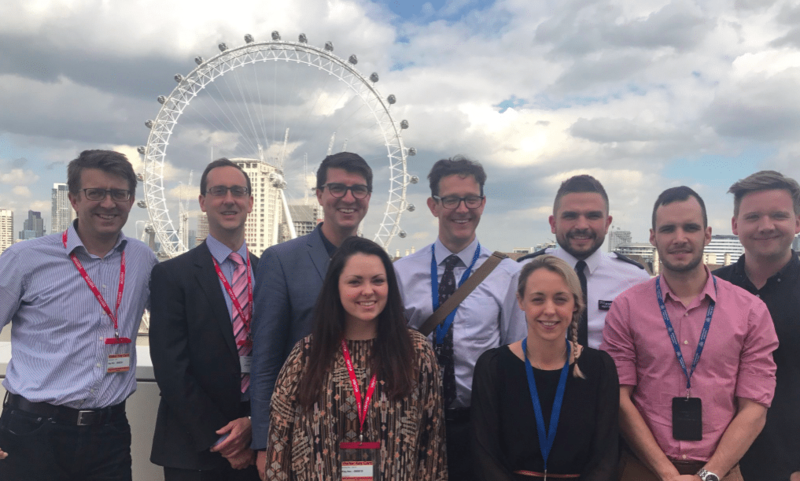 Our data, product and success team would study use of the platform over the 7-14 days, to understand what features are being used in order to run a top tips webinar, which would be bespoke based on the user data. Creation of a monthly stats report, and face-to-face presentation to key stakeholders if required. We track hundreds of data points to give you a rich data-led report. We’ll prepare and send an Idea Drop survey to gather feedback on POC, areas of improvement and successes. We manage this entire process and also give you an export of the data. This report feeds into the final debrief meeting. In this session, we’ll review headline statistics, engagement and analytics, in addition to a summary of the key ideas with potential business value, and agree next steps to wider implementation and rollout. 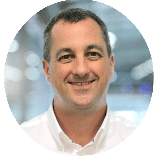 We are also able to partner with your internal IT teams to manage and implement ways to better integrate with your internal systems to reduce user friction and increase engagement. Number of active users over the period of POC, including detailed cohort analysis across multiple segments and time frames. Volume of comments, favourites, ratings, idea views, mobile app opens and so on. We track 100s of data points to help you measure every level of engagement. Reviewing the scores of key survey questions sent via a Typeform digital survey at the end of the POC. To discover more about how we can partner with you to prove, implement and embed your innovation management programme, contact our dedicated team of innovation experts.